Smyth Ute: Will It Rally? 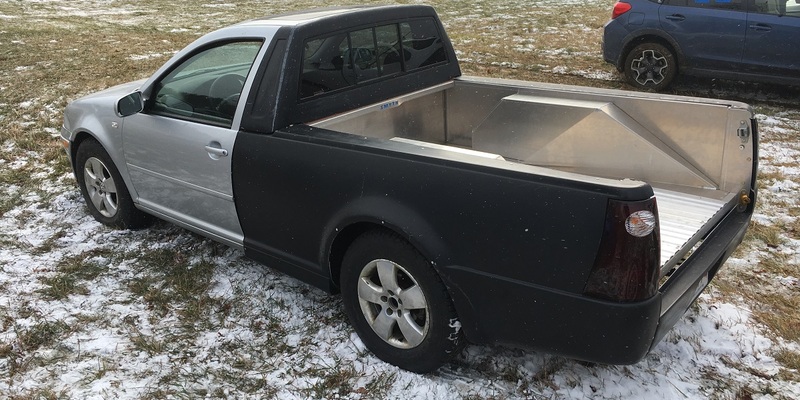 Recently I wrote about the Smyth Ute, a weld-free kit car that will convert your Mk4 or Mk5 VW Jetta into a sharp little pickup truck, or “ute” as the Aussies like to call them. But is it a REAL truck? It’s front wheel drive, which already makes the claim a bit dubious. But the original Volkswagen truck was also front wheel drive, and the new Honda Ridgeline, though all wheel drive, sends most of its power to the front wheels. Will it haul stuff? Yes – the aluminum bed that comes with the kit is rated for 750lbs of cargo. So I asked the question I always seem to ask when it comes to determining any particular vehicle’s level of awesomeness: Will it rally? One of my students at last month’s MassTuning Trackfest was Michael Gallant, who, along with Mark Smith, actually designed Smyth Ute kit. He had hoped to drive his own Smyth Ute on the track but it wasn’t quite ready in time, so he drove his Scion FR-S instead. Naturally, our similar cars made us fast friends. I told him about the New England Region SCCA rallycross taking place at the same track the following weekend. He promptly got hooked, and offered to let me co-drive his Ute at this month’s event in Vermont. I’ve been fascinated by the Smyth Ute ever since I first learned about it, and jumped at the opportunity to not only check one out for myself, but to drive it at speed. How much does cutting 1/4 of the car away affect its handling and classic German solid feeling chassis? Surprisingly, it actually improves it. 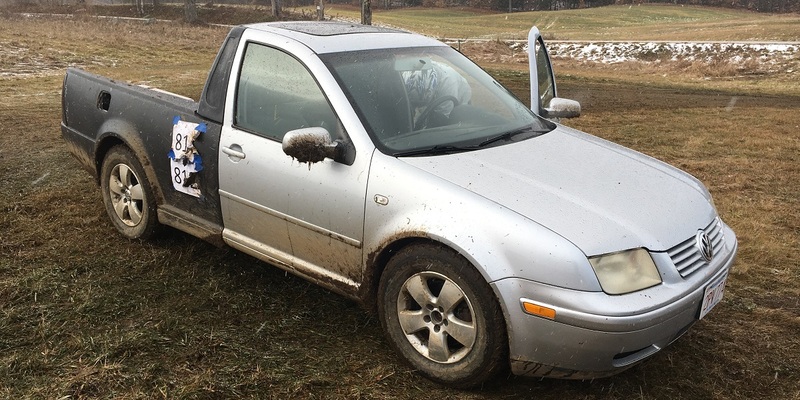 According to Michael, the Mk4 Jetta Ute is about 200lbs lighter than the original car, since the doors and other parts of the car that get removed are quite heavy. This weight reduction in the rear improves handling, making the car more neutral than biased toward understeer. It didn’t take much left foot braking at all to make the Ute rotate, and with practice it was quite easy to control. But the biggest surprise to me was the Ute’s rigidity. Any German car I’ve ever driven or ridden in has a distinct German feel to it, regardless of which German manufacturer built it, thanks to their over engineered platforms. Despite cutting away the top rear quarter of the Jetta, it still feels just as solid and just as German as before. The Smyth Ute adds many structural components, including the bed itself, which keep what’s left of the car tied together just as well as before you cut the roof and trunk off. For me, the rigidity was the biggest surprise of them all.